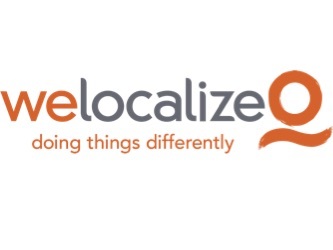 Frederick, MD, February 23, 2017	(Newswire.com) - ​​Welocalize, global leader in innovative translation and localization solutions, is a sponsor and exhibitor at the upcoming Localization World 2017 conference taking place at Marco Polo Shenzhen, Shenzhen, China on February 28 – March 02, 2017. Welocalize executives and localization experts will be on hand at booth #14 in the main exhibit space. The Welocalize team will host a series of discussions supporting the LocWorld33 theme of “Continuous Delivery” with emphasis on how global brands and local Asian companies can develop scalable language strategies to grow globally and reach new cultural markets. Welocalize will participate in the preconference session, “Attracting and Developing Talent: A LocWorld Initiative” on February 28. The session focuses on the challenges of educating professionally trained staff in localization to address the talent shortage facing the industry. Welocalize Business Development Manager Ann Chen will join presenters from Beijing Language and Culture University and Larsen Globalization Ltd.
Welocalize will also host the exclusive LocLeaders Forum 2017 Asia on February 28 at the Four Seasons Hotel in Shenzhen. This hosted dinner and special panel discussion is a unique opportunity for clients and localization professionals to participate in open discussion on the latest trends in globalization including go-to-market strategies, language quality, machine translation, post-editing, talent, software localization and developing multilingual digital marketing campaigns. Olga Beregovaya, language automation expert and VP of Technology Solutions at Welocalize will moderate a discussion with guest panelists on the topic of localization engagement models, including expert insights into the latest technological innovations. For more information and to register for LocLeaders Shenzhen, visit http://web.welocalize.com/LocLeadersShenzhenFeb2017.html. For more information about Localization World Shenzhen 2017, visit https://locworld.com/events/locworld33-shenzhen-2017/. 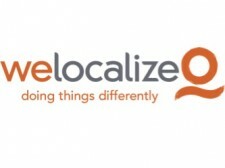 Welocalize, Inc., founded in 1997, offers innovative language services to help global brands reach audiences around the world in more than 175 languages. We provide translation and localization services, talent management, language tools, automation and technology, quality and program management. Our range of managed language services include machine translation, digital marketing, validation and testing, interpretation, staffing and enterprise translation management technologies. We specialize in consumer, technology, manufacturing, learning, oil and gas, travel and hospitality, marketing and advertising, finance, legal and life sciences industry language solutions. With more than 1000 full-time employees worldwide, Welocalize maintains offices in the United States, United Kingdom, Germany, Ireland, Spain, Italy, Romania, Poland, Japan and China. www.welocalize.com.